Lyric Robot is one of the leading intelligent equipment suppliers and national high-tech enterprises in China. Founded in 2002, Lyric Robot specializes in the design and manufacturing of precision automation, and industrial robotic solutions. With a strong focus on R&D, Lyric Robot holds 177 patents, demonstrating their drive for innovation. With clients in Germany, the United States, Canada, Japan, Singapore, and more than 10 other countries, Lyric Robot specializes in high-tech smart outfits, factory automation, and industrial robot system integration. 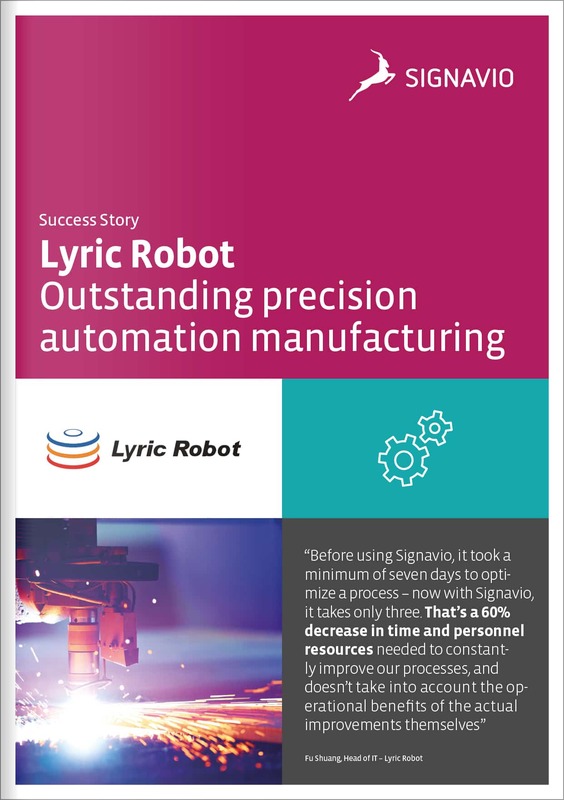 The benefits accrued by Lyric Robot as a result of their use of and partnership with Signavio are striking. When Lyric Robot’s workforce increased 150% within one year–from 200 to 500 employees–management quickly came up against some serious barriers to progress and growth, created by the Big Brand flowcharting software they had been using. With internal processes being continually improved upon, the lack of revision control or ability to sync, and no standard modeling language, processes were being generated, but model validity and scalability were still critical obstacles for the business. Also, the lack of a single source of truth and repository for the processes, meant that locating and using the processes which did exist was frustrating and time consuming. Beginning with the simple process mapping/modeling of their existing manufacturing processes–from the purchase of raw material, to design, to the actual assembly of the products–Lyric Robot saw immediate benefits from using the global BPMN 2.0 standard. Suddenly every team in the company was producing processes understandable to, and consistent with, all other departments. This greatly enhanced process reusability, utility and overall organizational transparency. The shared understanding with Signavio, meant less wasted time debating and clarifying models, and more time spent on value-adding work; such as saving money and opening up space for innovation! 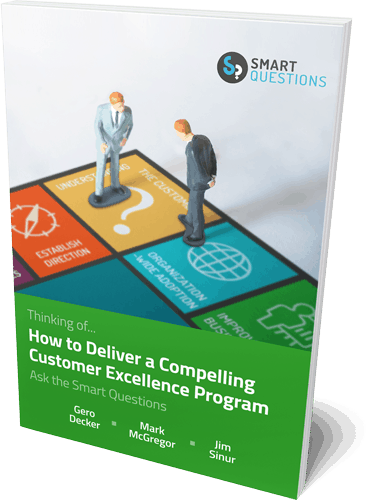 To find out more, download our process mining white paper. Lyric Robot is based in China, and is a leading supplier of automation solutions offering factory automation and intelligent equipment for the world's top 500 companies. Lyric Robot has over 1,500 employees across 10 offices worldwide.